Fans can stream Against Me!’s cover of “People Who Died” (originally made famous by The Jim Carroll Band) now on People Magazine. The song is taken from Songs That Saved My Life, a brand centered around music that has played a pivotal role in the lives of artists and fans and that benefits mental health and suicide prevention charities. 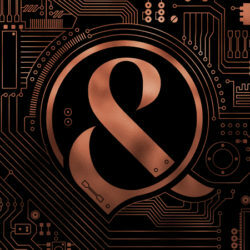 The compilation will be released on November 9 through Hopeless Records and includes covers from bands like Neck Deep, Against Me!, Taking Back Sunday, Dan Campbell and Ace Enders, Movements, The Maine, Dance Gavin Dance, and more. Full track listing can be found below. Last month, the Songs That Saved My Life grant was announced. The $10,000 grant will be awarded to a fan or band partnering with a non-profit organization related to mental health awareness and/or suicide prevention. Applications are open now and due on October 12th. To apply, visit songsthatsavedmylife.com/grant. 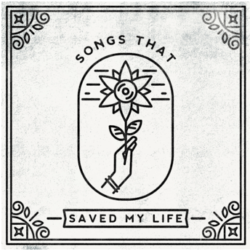 Songs That Saved My Life is now available for pre-order at www.songsthatsavedmylife.com. Despite the departure of founding member/front man Lemmy Kilmister in 2015 the legacy of the “Worlds Loudest Band” still remains. 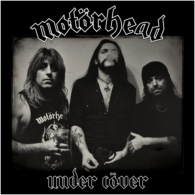 “Under Cover” the latest postmortem release from Motorhead Music is an 11 track collection of some of the bands best covers recorded between 1992 and 2015. “Under Cover” is signature Motorhead through and through with the same loud, raucous, raging rock ‘n’ roll sound that was synonymous with the band over the course of its 40 year existence. Sure there are lots of cover albums out there but, is there a covers album done completely by Motorhead? Not until now! Taken from recordings made during the latter half of the bands career “Under Cover” is a gritty, grimy beast made up of some of rocks most notable songs performed the only way Motorhead knew how. Loud! From Judas Priest’s “Breaking the Law” and Ted Nugent’s “Cat Scratch Fever” to the unreleased version of David Bowies “Heroes” and a take no prisoners version of Metallica’s “Whiplash”. Over the course of 11 tracks listeners get an album that not only showcases Motorhead’s versatility and musicianship but listeners will also enjoy how the band added their own style while not straying too far from the originality of each track. 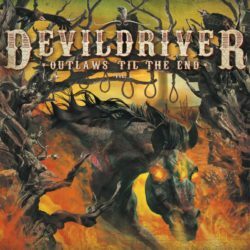 It doesn’t matter if you are a Motorhead fan or not as the group’s latest release is the kind of album you can throw on at a party and please just about everyone. At the core of “Under Cover” is a solid selection of songs that you can tell just by listening that the band really enjoyed. Go one louder with this release! Your ears will thank you.